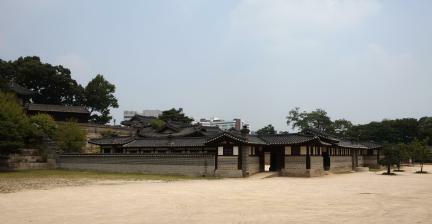 낙선재는 창덕궁과 창경궁 경계에 위치하고 있다.맨 좌측에 낙선재가 크게 자리 잡고 그 우측으로 석복헌과 수강재가 연이어져 있으며, 이들 뒤편에는 화초·석물·꽃담 굴뚝 등으로 가꾸어진 아름다운 화계와 그 위의 꽃담 너머로는 상량정·한정당·취운정이 위치해 있다. 원래 왕의 연침공간 조성을 목적으로 낙선재가 지어지고 이듬해에 빈의 처소를 위하여 석복헌을 짓고 수강재를 중수하여 오늘에 이르고 있다. 궁궐 안에 사대부주택형식으로 지은 건물로는 낙선재와 연경당뿐이다. 낙선재는 헌종 13년(1847)에 왕이 왕비와 대왕대비를 위해 마련하여 조선 왕실의 권위를 확립하고 자신의 개혁의지를 실천하기 위한 장소로 사용했다. 1884년 갑신정변 직후 고종의 집무소로 사용하고 그 후 조선왕조 마지막 영친왕 이은이 1963년부터 1970년까지 살았으며, 1966년 부터 1989년까지는 이방자여사가 기거하였다. 낙선재는 비교적 옛 모습을 잘 간직하고 있으나 석복헌과 수강재는 상당 부분이 변형되어 있다. 낙선재는 남행각에 나있는 정문인 장락문을 들어서면 넓은 마당 건너에 정면 6칸, 측면 2칸 규모로 자리 잡고 그 좌측에 서행각이 남행각과 직교로 연접해 있다. 맨 좌측에 앞으로 돌출한 1칸이 주형 초석 위에 놓여 누마루가 되면서 시선을 끈다. 누마루 뒤로는 온돌방 1칸을 두고 그 우측으로 대청2칸, 온돌방 2칸, 다락방 1칸을 배열하였으며, 다락방 배면에도 흔치 않은 온돌방을 돌출되게 두었다. 2칸 대청과 온돌방 앞에는 툇마루가 시설되어 있고,건물 뒤에는 쪽마루가 길게 깔려 있어 공간 간 이동이 편리하다. 이 건물에는 궁궐의 권위와 위엄을 보여주는 수준 높은 다양한 문양의 창호들이 설치되어 있다. 특히 누마루와 그 뒤 온돌방 사이의 만월문은 단연 돋보이는 백미로 누마루 공간의 위계를 읽게 한다. 구조양식은 잘 다듬은 화강석 바른 층 쌓기 한 기단 위에 방형 초석을 놓고 네모기둥을 세운 물익공 겹처마 팔작지붕 집이다. 물익공은 당초문양으로 세련되게 초각하고 보머리와 보아지도 같은 수법으로 품위 있게 장식하여 궁궐의 면모를 갖추게 했다. 주간은 소로로 수장하고, 누마루의 머름대 아래에는 아름답게 초각한 낙양이 장식되어 있어 누 부분이 더욱 돋보인다. 상부가구는 몸채는 5량가, 누마루는 3량가로 가구하고 미려하게 다듬은 대량 위에 당초문양을 양각한 화려한 제형판대공을 세워 종도리를 받게 했다. 낙선재는 궁궐 내의 침전건축과는 달리 단청을 하지 않고 사대부주택형식으로 건축되었으나, 궁궐침전형식이 응용되면서 다른 곳에서는 쉽게 찾아볼 수 없는 다양한 문양의 장식이 특히 주목되며, 조선 후기 건축 장인(匠人)들의 축적된 기량을 엿볼 수 있어 건축적인 가치가 높다. 또한 조선왕가의 실제 침전으로 사용된 역사성도 중요한 건물이다. 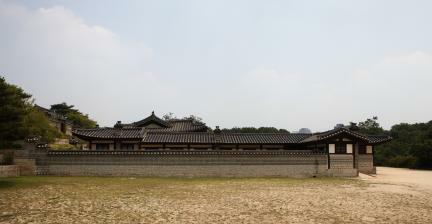 Nakseonjae Hall stands in the area between Changdeokgung Palace and Changgyeonggung Palace. 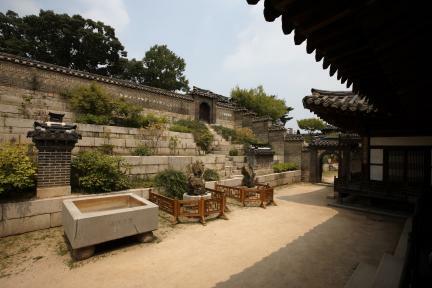 The complex, in which Nakseonjae is located, includes Seokbokheon and Sugangjae Halls, as well as stone stairs decorated with interestingly shaped stones and flower trees on the gently sloping hills behind the buildings. 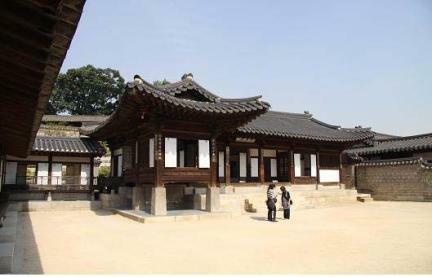 In the rear garden there are three more buildings, namely Sangnyangjeong and Chwiunjeong Pavilions and Hanjeongdang Hall. 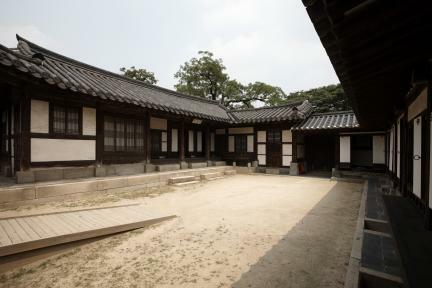 Nakseonjae was originally built in 1847 (the 13th year of the reign of King Heonjong of the Joseon Dynasty) as the king’s quarters, while Seokbokheon and Sugangjae were added to the complex the following year for the king’s grandmother and consort. 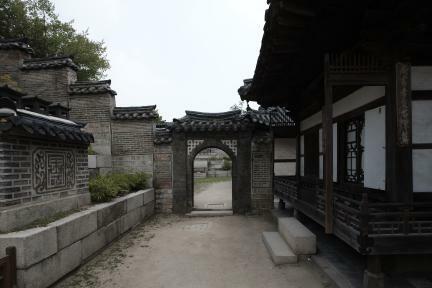 With the construction of the complex, King Heonjong wanted to establish the strong authority of the royal court and show his determination to introduce reforms. 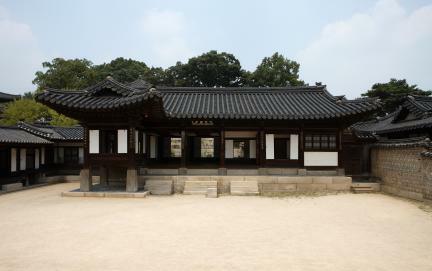 After the coup in 1884, Nakseonjae was used as the king’s office for a while, while Yi Eun, the last crown prince of the Joseon Dynasty, lived here from 1963 to 1970. 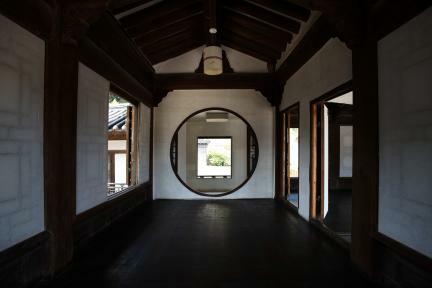 His wife, Yi Bangja, also lived in this place from 1966 to 1989. 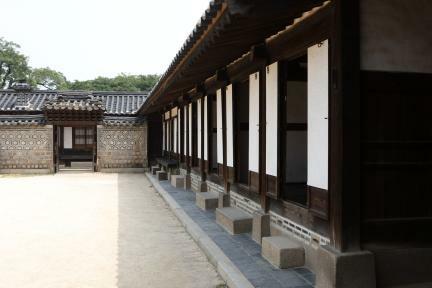 Unlike other buildings in Joseon royal palaces, Nakseonjae was built in accordance with the architectural style of aristocratic residences without using dancheong, or multi-color paintings, on the building’s surface. 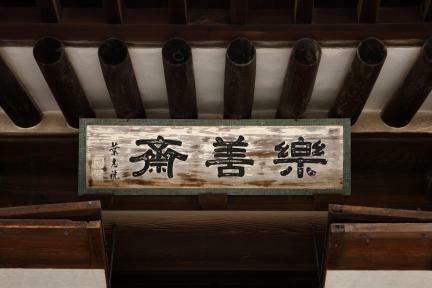 Also, the walls and fences were decorated with unique and various designs, which was not usually the case in other palace buildings. 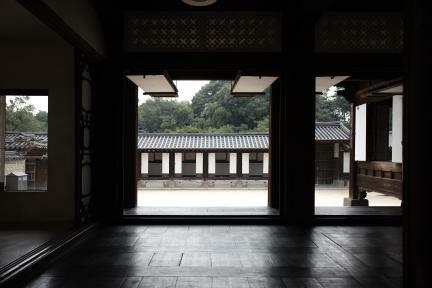 Nakseonjae has significant architectural value as it exhibits the excellent skills of master architects of the late Joseon Period.